At Horsfield, we understand the importance of ensuring you and your team are fully-trained in line with industry standards and developments, and the value that this not only offers your business, but the service that you deliver to your customers. However, we also understand that it’s not always convenient, or even practical, to conduct this on your work’s site. As such, our multi-purpose Training Venues are available – whatever your company or industry – in order to provide you with a versatile platform from which to conduct your chosen avenue of training. What Are the Training Facilities? 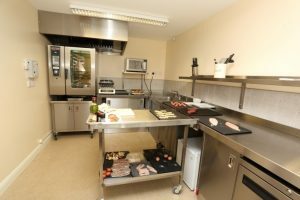 We have three Training Rooms available here at Horsfield; two of which are our multi-purpose Training Classrooms, and the third is our professional Training Kitchen, which you can read more about by clicking here. Our classrooms are equipped to deal with a wide range of training needs, with a projector available, should you require its use. They are capable of handling both groups large and small to help ensure that your whole team benefits from your selected training provider, and to assist you with getting the maximum efficiency from your training session. To ensure that your team have access to one of our modern and versatile Training Venues, all you need to do is call; let us know the size of your group and the day that both you and your chosen training provider are available, and we’ll get you booked in! At Horsfield, want to make the experience as convenient as possible for you and your team, that’s why we not only offer our versatile rooms for external companies, but also provide refreshments, and an option for lunch – all you have to do is let us know your requirements, and we’ll work alongside you to meet your needs. 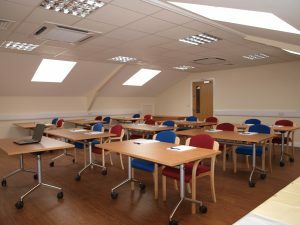 The training will be held in one of our Training Rooms in Preston; you can find a map and directions here. 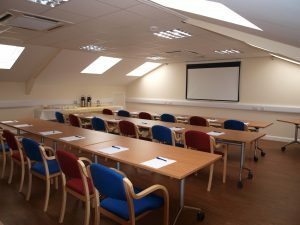 So, if you would like to discuss the possibilities of your team utilising one of our available Training Venues, all you have to do is get in touch with us on 01772 654402, where we will be happy to help.